A woodworking shaper is a high powered wood working tool that is something like an industrial strength router table. A shaper was donated to local makerspace Loveland CreatorSpace for the woodshop that was missing dust collection covers. 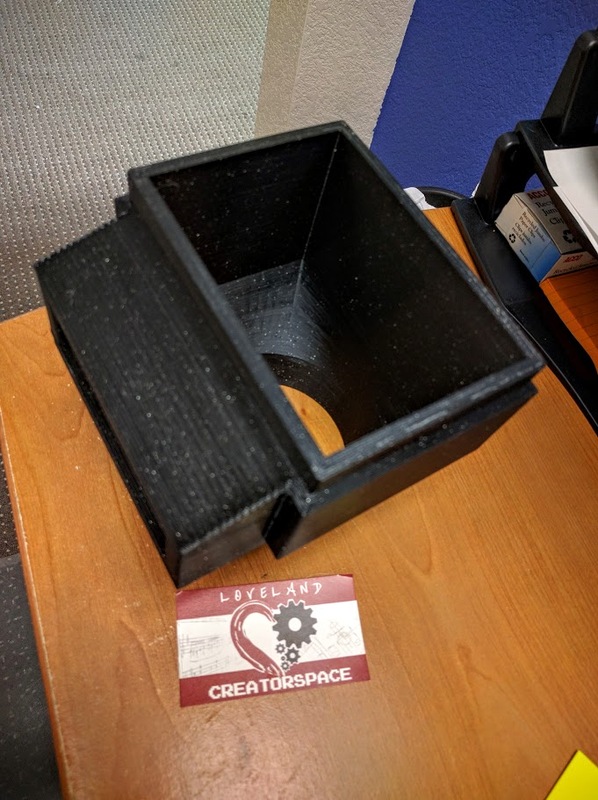 Loveland CreatorSpace member Richard designed these dust collection covers, and IT-Works 3D printed them on a LulzBot Mini to last in a busy workshop with 1.5mm shell, 30% infill, and printed in strong, tough, Colorado made Inova-1800 co-polyester. Finished assembled 3d printed shaper dust collection shroud. 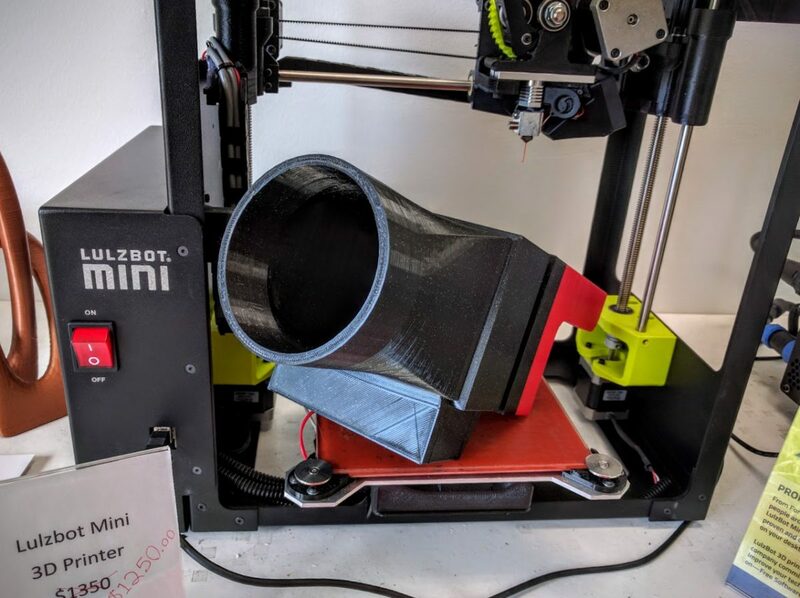 Hose half of 3d printed dust collection shroud. 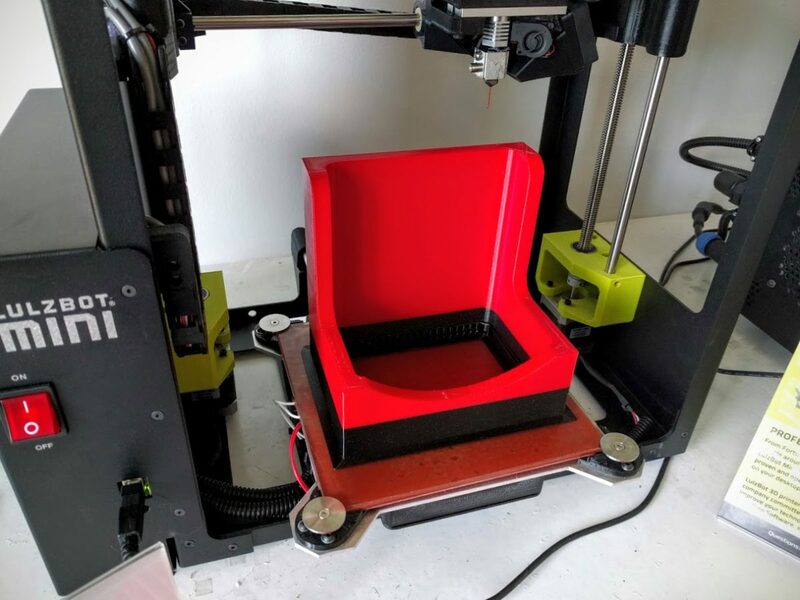 Notice the smooth finish and minimal support required. 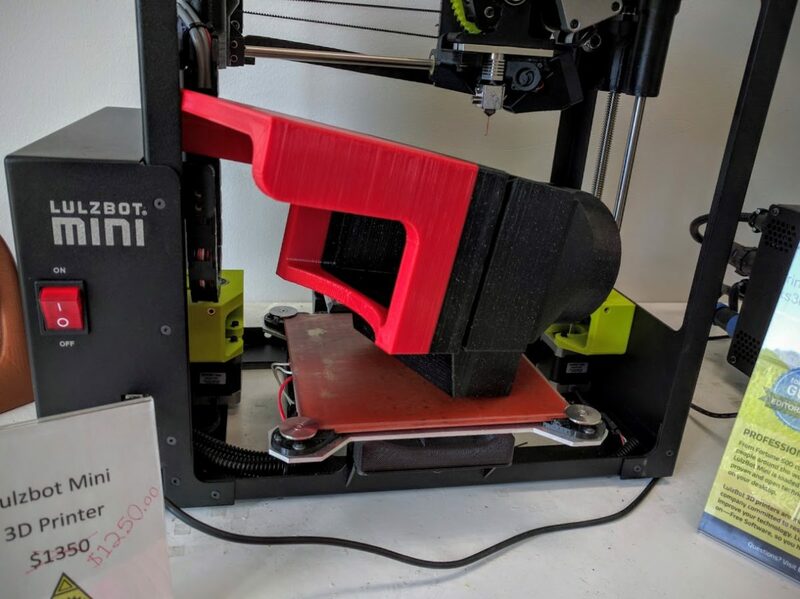 Look closely- the Mini and Inova made such a nice print that you can see the fine polygons in the curved surfaces! 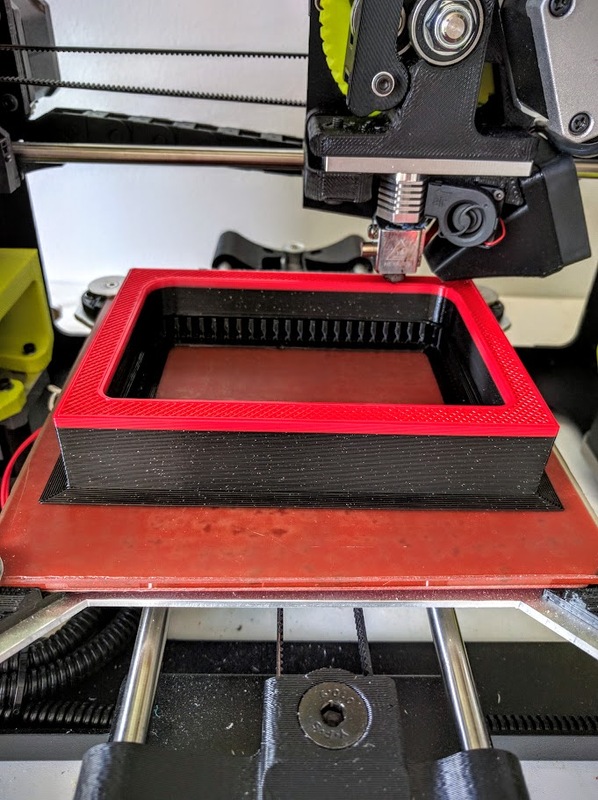 Finished shaper dust collector shroud 3d print. 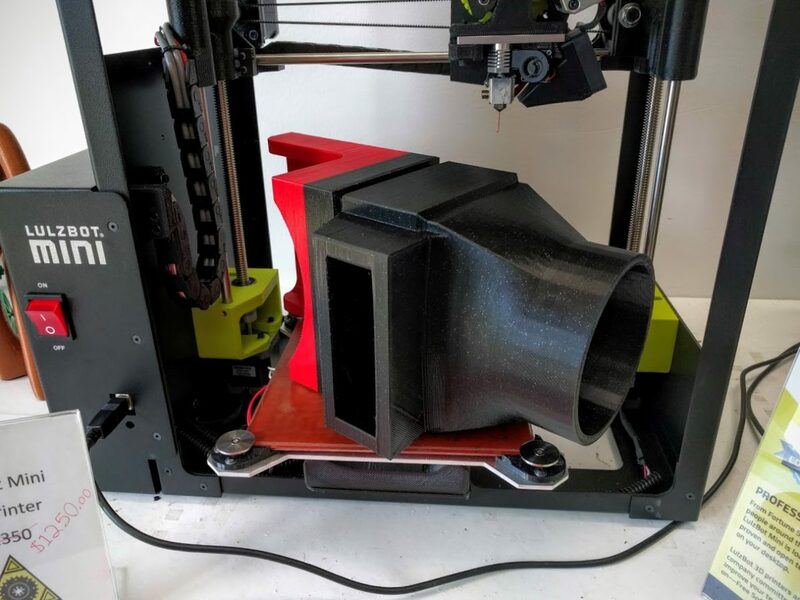 Hose end of 3d printed shaper dust collector. 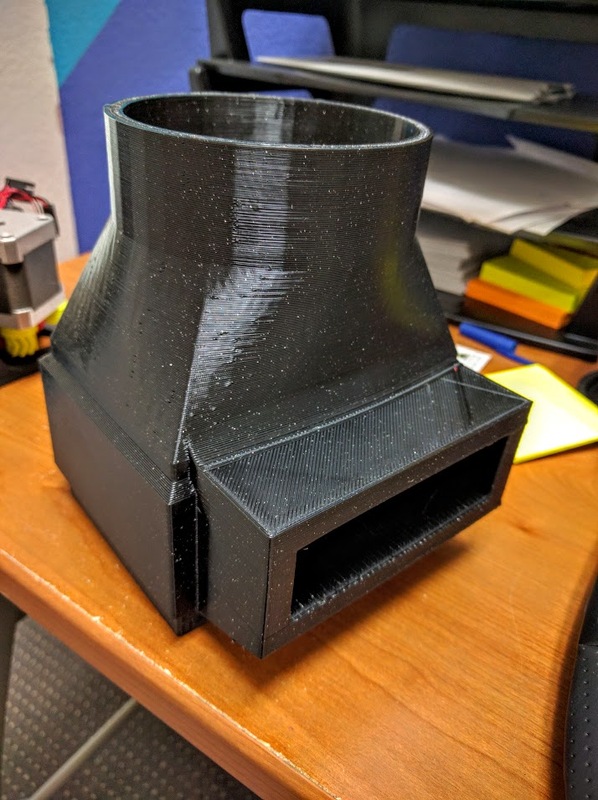 Underside of 3D printed dust collector. Do you have any photos of this mounted on your shaper? I’m curious how it performed for you. This is an older post that as the new company owner, we no longer have access to. Sorry!